I only post for my holdings, but they’re as accurate as I can make them. The symbols are; ACSF, ARCC, BBK, BDCL, BDJ, BFK, BGH, BKN, BTA, CEFL, CMU, CSQ, CXE, DFP, DHF, DHY, EAD, EVN, FFC, FHY, FIF, FLC, FMN, FPF, GAIN, GOF, GUT, HIX, HPF, HPI, HPS, HYB, IQI, JPC, JPI, JPS, LDP, LEO, MAIN, MAV, MFM, MHI, MORL, NAD, NEWT, NHF, NMZ, NRO, NRZ, NVG, NZF, OAKS, OIA, ORC, PDT, PFD, PFO, PHK, PHT, PMF, PML, PMM, PMO, PMX, PSEC, PSF, RFI, RNP, RQI, SAR, SCM, TICC, TLI, TPZ, & UTF. Quite a list, eh? (75 total issues held; 12 common stocks, 3 ETNs, and 60 CEFs, of which 23 are tax-free muni CEFs.) Most pay monthly! Only ARCC, BDCL, NEWT, NRZ, SAR, & TICC pay quarterly, but SAR doesn’t have a discernible regular quarterly pattern. Unrealized change now shows -$1,117.87 or -0.75% since purchase, leaving total value of the portfolio at $149,445.25. This is after my ongoing ‘harvesting’ of gains in the accounts, monthly withdrawals of dividend income, and doesn’t include cash. If I have any 100+ share limit sell orders specifying AON and the holding hits a target (like new 52-week high), the order executes. It’s also quite different from previous weeks. I think this is just an anomaly, and will be corrected next week, but it now shows our portfolio considerably underperforming where we were previously outperforming the markets. Also, the timeframes are quite different! 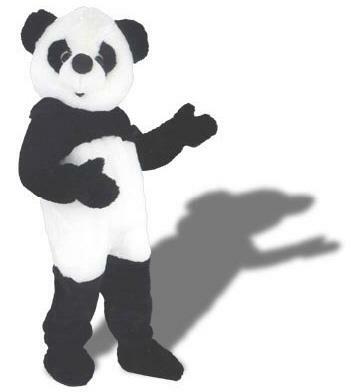 ind-PandA account investments will take place monthly the 1st Tuesday, using all 12 ‘free’ trades for each investment. Both Roth accounts investments will take place monthly on the 1st Tuesday, using all 12 ‘free’ trades for each investment. I have already added FFC, FLC, GOF, GUT, PFD, PFO, PHK, & PHT to my IRA & both Roth IRAs at Fidelity (no tax-free CEFs). I have also added FFC, FLC, GOF, MAV, PFD, PFO, PHT, PMF, PML, & PMX to our joint account at Fidelity (some tax-free CEFs). On May 1st, I sold some GOF & LDP at new 52 week highs. On May 2nd, in our PandAjoint account, I bought some FFC, FLC, PFD, MAV, GOF, PFO, PHT, PMF, PML, & PMX.